Beaver Valley Agricultural Society's AGM is Monday January 22, 2018 at 7:00 pm at St. George's Anglican Church, Clarksburg. Each year, District 10, which the Beaver Valley Agricultural Society is a member of, holds a photography competition. 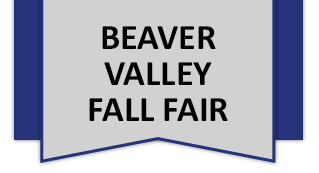 The photographs are to be taken at the 2019 Fair and entered in at the Annual Fall Meeting to be held in late October. The photographs must be submitted to the Judging Team no later than October 16, 2019.